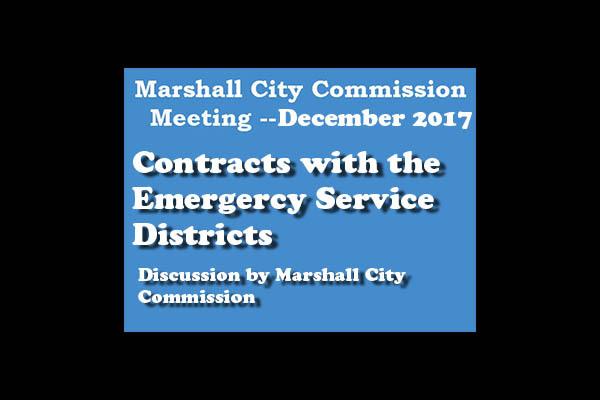 In December 2017 the Marshall City Commission voted to enter into a contract with one BIG understanding -- Mayor Hurta said that he would vote for the contract but the City Commission would do a comprehensive review of the economic analysis of the contract in September 2018. Fire Chief Cooper agreed to provide that analysis prior the the September 2018 review. This video documents the commitments of Mayor Hurta and Fire Chief Cooper.